David Walliams is a man of many talents. He established himself as a comedian in the cult TV show Little Britain. But since then he has reinvented himself as an endurance athlete for several charity challenges, a talent show judge on Britain’s Got Talent, and, perhaps most successfully, as a bestselling children’s author. His kids books have been described as continuing the legacy of Roald Dahl and can be found on bookshelves in most kids bedrooms in the UK. Little wonder then that the BBC is adapting one of his most popular books, The Midnight Gang, this Christmas. But if you are outside the UK, you won’t be able to enjoy this festive family favourite. Unless you use a VPN that is. And in this article, we will tell you exactly to do just that. The Midnight Gang will be available to stream live and on demand on the BBC’s iPlayer streaming service. But if you try to watch outside the UK, you will find the service blocked. This is where a VPN comes in. By connecting to a VPN server located in the UK, it is possible to fool the iPlayer into thinking you in the UK even when you aren’t. There are other VPNs you could opt for such as VPN.ac or VyprVPN, but these three are, in our view, the best. 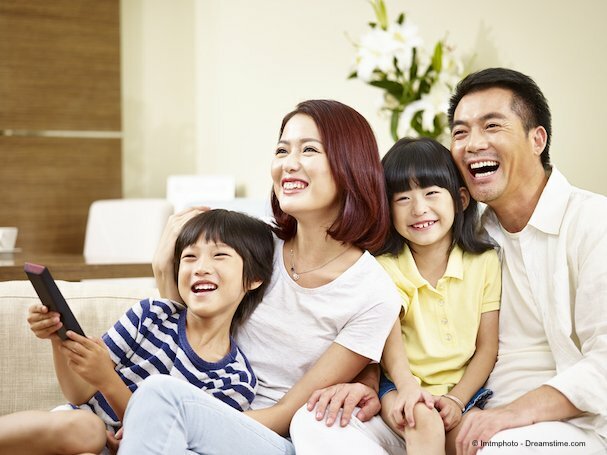 And with its combination of fast connection speeds and great security and privacy, ExpressVPN is the standout choice. Once you have chosen the right VPN for you, getting everything set up so you can enjoy the Midnight Gang abroad is pretty straightforward and should take no more than a few minutes. Sign up for ExpressVPN by clicking on one of the links on this page, choose the right subscription length for you, and then following the simple onscreen instructions to set up your account. Now you need to download their app. For ExpressVPN, you can find it on the Products section of their website or alternatively visit your app store. Once it is downloaded, open the app and login or activate it. Now select Choose Location (1), then United Kingdom (2), and finally press Connect (3). Once the app has connected, you will be able to watch the Midnight Gang either live or on-demand on the BBC iPlayer website or app. When is The Midnight Gang on TV? The BBC’s new adaptation of David Walliams’s ‘The Midnight Gang’ promises to be a highlight of the festive season for many families. It will be broadcast on BBC1 on Boxing Day, Wednesday 26th December, at 7.30 pm GMT. It will also be available to live stream on the BBC iPlayer at the same time. As is usual with most BBC shows, it will then become available to stream on demand shortly after the broadcast has finished. The show will tell the tale of Tom, a young boy who is hospitalised after an accident at a cricket game. In hospital he makes enemies with the porter and the matron, but good friends with The Midnight Gang, a group of kids who secretly sneak out of the ward at midnight and go on magical adventures. But when his headmaster tries to take him back to Boarding School, he plots one final adventure with the gang. The show will star the author David Walliams as the headmaster, comedian Alan Davies as the porter, Haydn Gwynne (The Windsors) as the Matron, and also the likes of Mark Heap and Jocelyn Jee Esien. The Midnight Gang promises to be a real treat this Christmas and you don’t have to miss it even you are going to be abroad. All you need to do is sign up to a VPN and then connect to a UK-based VPN server. 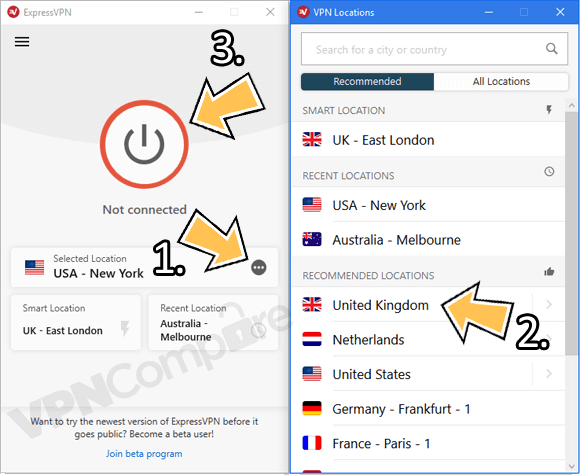 In this article we have recommended the best VPNs for the job with ExpressVPN our top recommendation. We have also explained how to get things set up and provided a simple step-by-step guide for you to follow. So, there is no excuse not to sit down as a family this Boxing Day and enjoy one of the BBC’s classic children’s adaptations.